It’s been almost a year since retired NBA player Rick Fox purchased Gravity Gaming for $1 million. 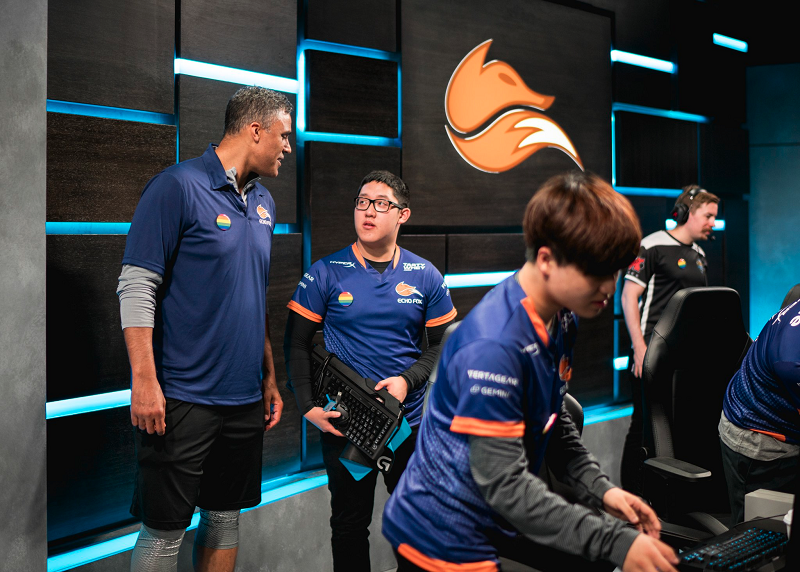 Choosing to rename the organization and expand it beyond its humble origins, Echo Fox was born, a burgeoning esport enterprise that seemed, in part, to signal a new era for competitive gaming. If Fox, who claimed earlier this year that in 2018, esports would be “on par with the NHL,” saw his future fortune in the scattered tea leaves of professional gaming, maybe the hype was to be believed after all. And indeed, seven months after Fox made his outlandish forecast, you can flip to TBS on a Friday night and watch some of the top teams in Counter-Strike: Global Offensive square-off on live television. Unfortunately for Fox, however, his team is one of the worst you’ll have the privilege of watching. In the midst of the ELEAGUE Season 2 group stage, Echo Fox finds itself licking its wounds at the bottom of Group B. The team suffered a 16-1 defeat to Virtus.Pro on Friday night, before getting trampled by G2 Esports yesterday. In that best-of-three series, Echo Fox went 16-3 on the first map, and 16-2 on the second. While it would have been a surprise upset for Echo Fox to make it out of the group stage, and was not necessarily unusual for them to finish at the bottom of the group, the complete and utter thrashing they received on the way down was hard to watch. 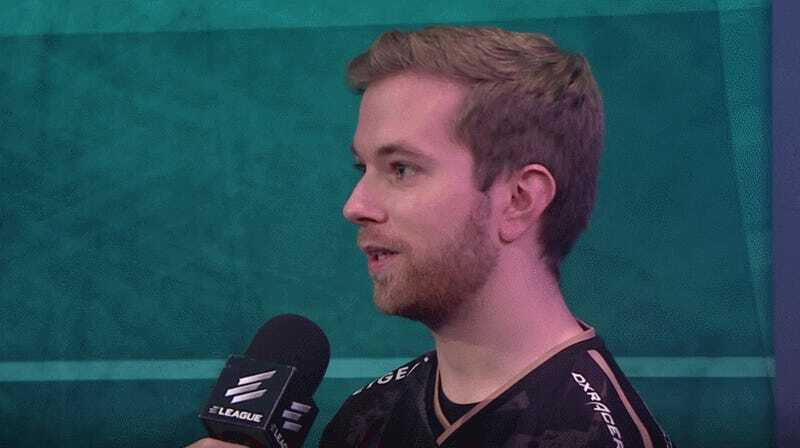 Xizt dismissing Echo Fox in an interview after NiP advanced to the playoffs. Echo Fox’s League of Legends team hasn’t fared any better. It only narrowly escape being relegated after finishing dead last in the NA LCS Summer Split. Defeating NRG eSports, the venture capital owned team funded in part by Shaquille O’Neal, Fox’s Foxes were able to maintain a spot in North America’s premier LoL league. But who knows what the future holds. There’s talent on that team to be sure, but as with his CS:GO team, communications issues or internal strife between teammates seems to be holding them back from achieving something closer to the respectable sixth place finish from the spring league earlier this year. Echo Foxes’ CS:GO prospects look more bleak, however. Despite finding a solid sniper in Shahzeb “ShahZam” Khan, the team can’t seem to find a foot hold against stronger teams, much less post wins against them. After signing Ryan “freakazoid” Abadir earlier this year, a known quantity who helped giants of the North American scene, Cloud9, excel during the 2015 season. So far at least, Freakazoid hasn’t been able to help cure what ails the Foxes, making more waves for saying Donald Trump would be better for esports than Hillary Clinton than through his performance in recent matches. The organization does have a few bright spots, however, including its recent signing of Jason “Mew2King” Zimmerman, one of the top players in the much smaller world of professional Smash Bros. He’s currently ranked 28th globally for Smash 4, the series most recent release, and is regarded as one of the top North America players. As a solo fighting game, however, the team dynamics and boot camp regimens that can drive success or failure at major tournaments for games like LoL and CS:GO, are less of a factor for Mew2King. He took third place at last weekend’s Canada Cup event. From the looks of the things, that connection is still pending.